L size shell, designed with the state-of-the-art CAD software. New design also for the seat belt slider. This shell is easily installable, also in the smallest of cockpits. Two configurations available: “traditional saddling” and sky. The Quick Resin Technology (QRT), invented and industrialized by sparco, allows for quick and uniform fusion of the seat frame, resulting in a significant reduction in the product’s mass through the improved dosage of resin. This technology improves fibre arrangement within the frame, while the innovative transfer of resin results in unparalleled mechanical strength/weight ratios for fibreglass sports seats. 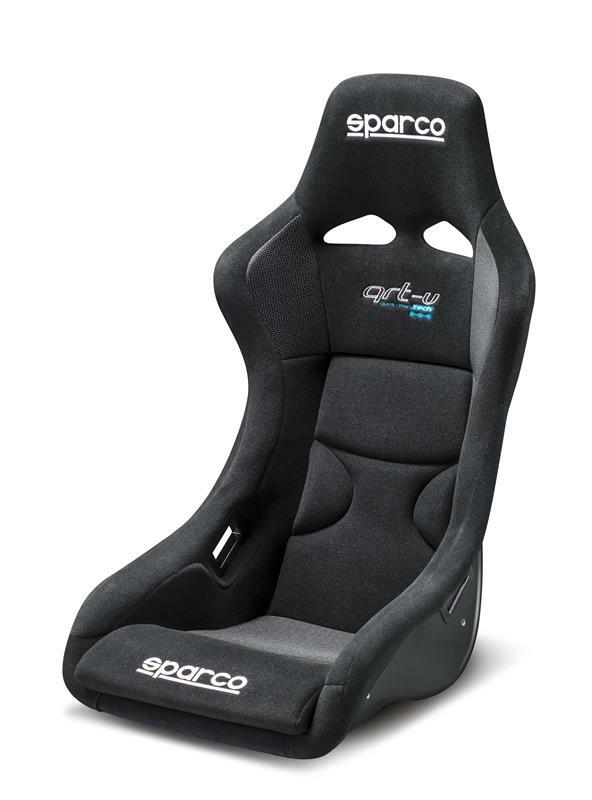 The technology, created in Italy by sparco’s R&D Composite and Racing equipment departments, has been developed over the years to stabilize production, considerably reducing the static dispersion of the seat weight. Through QRT, this parameter has been consolidated, bringing the standard deviation of the weight of the new seats to very low levels: the weight of the frames has decreased by about 3 kg, thus achieving a 45% improvement. QRT, designed and developed by Sparco, is destined to generate the world’s lightest fibreglass frames and to determine the properties of the sports seats of the future.